Fraud means a false representation by means of statement or conduct, in order to gain a material advantage. 1. At fast banker will see whether the signature of drawer is present or not. 2. Similarity of drawers signature with the signature held on card must be massed by the banker. If it is not similar like signature card, bank will not pay. 3. Banker will see whether the cheque is of the bank & branch or not. If that cheque is of the branch of the bank, only then banker will pay otherwise not. 4. Banker will see, whether the client wrote the date perfectly or not/ whether the date is post dated or previous dated, if it is previous dated then banker will see whether it is stale or not that means 180 days have already been over or not. If stale banker won't pay. 5. The drawer is to write the amount in word and figured. Banker has to make intimated the both. If it is similar then banker will pay otherwise not. 6. Banker has to commemorate , whether the cheque issued by the bank at past whether it is right or wrong. 7. Banker has to remember, whether the account number provided by the bank at past is written or not. If it so then whether it is right or wrong. 8. Banker is to consciously see Whether the amount written by drawer is available in his account or not. 10. Accuracy of cheque drafting. 13. whether endorsement is legal, accurate or not. 14. Whether crossing in cheque is available or not. 15. 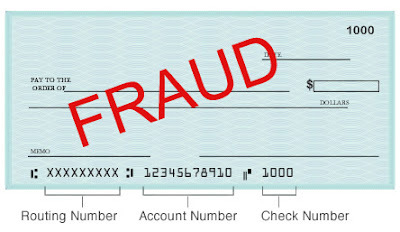 Is there any legal notice against cheque. 16. Is there any notice given by drawer against cheque or not. 17. Death or bankruptcy of customer. 18. Whether the cheque is stolen or lost cheque. 19. whether it is Error free cheque or not. The PC is well known sort of the PC. Such kind of the framework generally made for the one individual. Presently bunches of the things to do my assignment australia cheap come in the market with the goal that you can overhaul the framework so increment the speed and productivity of the PC.